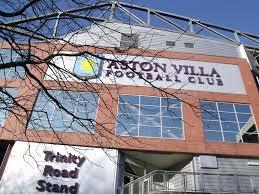 Heard a rumour from Villa Park, let us know at Aston Villa Rumours. 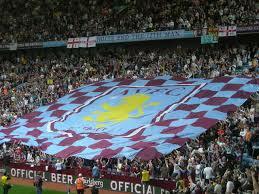 Aston Villa Rumours is the UK's leading independent AVFC football news and reports service. With its news, results, statistics and reports on 59 top club and national teams, the AVFCRumours web site regularly achieves over 1,000,000 user sessions per month, reaching fans in the UK and the rest of the world. The web site provides up-to-the-minute audio news and match reports for all 59 teams. A regional network of over 50 correspondents along with a dedicated team of 25 in-house football journalists work around the clock to cover breaking stories. The editorial team also provide feedback on the popular 'Your Say' sections, where fans have the chance to comment on issues surrounding their club. Astonvillarumours provides news stories to other popular UK web sites. 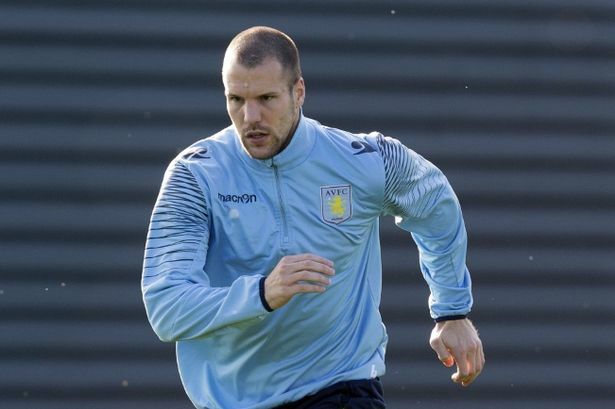 Ron Vlaar he left Aston Villa in the summer, hoping to find a new club is still out of work. Shortly after his contract expired the Dutch defender suffered an injury putting him out of action and putting off potential suiters, especially because of the amount of time he had on the sidelines while at Villa Park. The dutchman is now on his comeback and is training with Dutch club AZ Alkmaar, who he bagin his career with as a young player. Ron Vlaar is quoted in saying he thinks he is still good enough for the Dutch national team, but even if he does find a new club to prove himself and force his way back into selection, he will not be able to play in the europeans as they failed to qualify for the European championships. 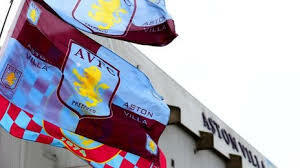 Can Vlaar make a footballing comeback, what are your thoughts, chat with fellow villa fans at Aston Villa Rumours. Football Forum Got any villarumours, share them with fellow AVFC fans. Aston Villa manager John Gregory had been hoping that his transfer plans would become clearer by the end of this month, when the EU were due to rule on the current transfer situation. Gregory has now been told by Villa chairman Doug Ellis that a final decision is now unlikely to be made until the New Year. That is a blow for the Villa boss, who has been keen for most of the season to bring in a big money striker to pep up the Villa attack, following Luc Nilis' horrendous injury. He was tracking Celta Vigo's South African international striker Benni McCarthy, who scored three goals against Villa in the Inter-Toto Cup during the summer, but a £5 million bid was turned down. Gregory can understand Ellis' stance and said: "The chairman now tells me that he thinks it will be January until we know what is happening with the transfer system. "You cannot argue with the reasoning, but it is frustrating for the players and myself." Gregory, who signed Sheffield Wednesday striker Gilles de Bilde on-loan last week, is not hiding from the fact that Villa need more of a cutting edge in the side. They impressed at Arsenal last Saturday, but slipped to a 1-0 defeat. "We played well at Arsenal," said Gregory. "But we were flat out and it is hard for us to match up with a team whose bench is made up of senior internationals." Midfielder Ian Taylor has revealed that he is just starting to get to grips with John Gregory's squad rotation system at Villa Park. Taylor, and central defender Ugo Ehiogu, have been the biggest victims of the new squad system but, while Ehiogu has spent more time than he would have hoped on the bench so far this season, Taylor has recently been able to force his way back into the side. Not being in the team at the start of the season was hard for self-confessed Villa fan Taylor to accept and he said: "At the time I took it personally that I was not in the side. "I was not used to being dropped and I didn't feel that I deserved it, but I have learned to live with the fact that the manager has to rotate the squad. "That is what the Premiership is all about. There are basically three of us competing for two positions and we have all had a game here and there. "I think that if you ask any player, they will tell you that they want to play in every game. I just have to come to terms with the fact it is a squad game." Taylor put pen to paper on a new three year contract last season which keeps him at the club until the year 2003, but the security of a long contract does nothing to ease the disappointment he feels when he is not in the side. The former Port Vale and Sheffield Wednesday ace added: "It doesn't matter whether you have got a long contract or not. At the end of the day you want to be playing football. The fans have always been good to me and that has been one good aspect of it." New-boy striker Gilles de Bilde opened his goal account on Monday night as Villa's reserves came from behind to earn a 1-1 draw at Sunderland. The Belgian international hitman, who joined Villa on a two month loan deal from First Division basement boys Sheffield Wednesday last week, was given a run out in the reserves clash so he could work on his match fitness. The move certainly paid off, as the former Anderlecht and PSV Eindhoven striker pounced to earn Villa a valuable away point. De Bilde's goal may have been crucial, but it was the display of goalkeeper Peter Enckleman that kept Villa in the match, as he pulled off a series of stunning saves to keep his side in contention. Villa fell behind to reserve League leaders Sunderland after 67 minutes, when Lloyd Samuel gave away a penalty that was converted by Daniel Dichio. De Bilde secured a share of the spoils for Villa just eight minutes later, when he took full advantage of an error by goalkeeper Jurgen Macho to turn home the equaliser. Following speculation linking John Gregory with the vacant England managers job, Dion Dublin says he believes the Villa Boss is going nowhere. The striker has backed Gregory to stay at Villa Park, despite recent reports that he had been installed as third favourite to take the England post behind Terry Venables and Lazio coach Sven Goran Eriksson. Dublin said: "I can't see him wanting the job." "Maybe if it came up further down the line, when he's won a couple of trophies with Villa, he might decide to go." Holland vs Portugal -Frank De Boer equals Aaron Winter's 84 caps for Holland! Bid for his signed and worn shirt at www.QXL.com! Julian Joachim and John Gregory have held a peace summit at Villa Park with the striker confirming he had cleared the air with Gregory last week. Joachim has revealed the duo met in the manager's office last week and they both made it plain no grudges would be held after Joachim's outspoken attack on the Villa chief during the summer. Joachim, who started his first game of the season at Arsenal last weekend, has also hinted he might well withdraw his transfer request that he submitted after blasting Gregory. Joachim slammed Gregory in a row over a new contract and he said: "The manager and I were not really talking at the start of the season. But he called me into his office last week and it was all positive. We agreed there should be no grudges. What I said in the summer didn't go down well, but things are getting better between us. The boss must rate me otherwise I would have been totally ignored this season. am not going to rush into anything as questions have to be answered. Whenever I see the chairman he tells me to keep my head up, but I have heard nothing about my contract and that is the problem for me. That is the main thing which would have to come out of this all. The ball is in Villa's court and it all depends on them. I have got two seasons left on my contract with an option for one more, but I don't want this situation going on for two years." second booking and Gregory has made it plain that he does not want to see a repeat of Hendrie's actions. Gregory said: "We have asked Lee Hendrie to grow up in so many ways and he has grown up a lot this season. But he has got this impetus streak in him and you cannot throw the ball away and pick up a booking for that. After that you are always going to be facing problems. I would rather somebody got booked for kicking someone than for throwing the ball away. That is just childish in may respects and consequently it has ended up with him being sent-off. He is going to be out of the side now and he is going to have to deal with that. I am not happy with him being sent-off for the first offence really as that is where the problem started. He has got to rise above that sort of thing." John Gregory has admitted that he was left bitterly disappointed by Villa's 1-0 defeat at Arsenal last weekend. The setback at Highbury brought to an end an impressive run of form that had seen Villa win three and draw one of their last four games. It is the second successive season that Villa left Highbury pointless. Last season they were beaten 3-1. But last Saturday, Villa dominated the game for long spells and it was the failure to get on to the scoresheet at a time when Villa were dominant that was really hard for Gregory to accept. Gregory said: "It is always hard to take when you feel that you deserve something from the game, particularly when you come to somewhere like Arsenal and do so well. We did well in the first-half and it is always difficult for me to comprehend when we don't come in leading at half-time. You know there will be some stage in the second-half when Arsenal might get a lucky break and as it turned out we lost Hendrie after about 15 minutes of the second half and we had a big job on our hands after that. We were always up against it after we found ourselves down to ten men." 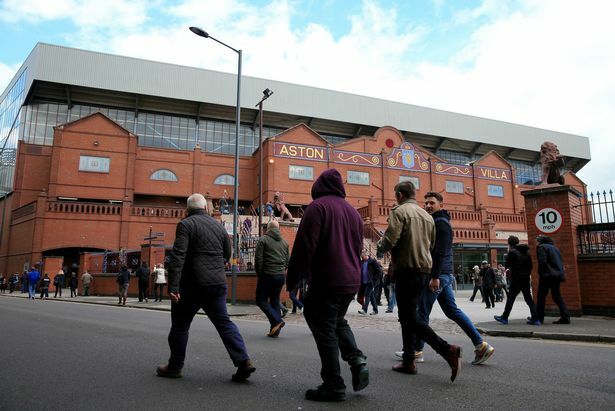 The Villa second string are in action tonight when they travel to take on Sunderland. The FA Premier Reserve League game kicks off at 7pm. Gareth Southgate and John Gregory have been talking about the type of person they feel will be right for the England managerial hot seat. Southgate has laid to rest the various rumours that were doing the rounds suggesting the England dressing room would rebel against a foreign coach. He said: "Perhaps it should be an Englishman but if there isn't the right Englishman for the job then it makes sense to look abroad. "All is I would suggest is that whoever is appointed has to be right for the job and command the respect of the players." Meanwhile John Gregory, who had been touted for the post in the past before the job was given to Keegan said: "I was put forward then because we were at the top of the Premier League. "However that was crazy, but after everything that has gone on since, I think I'm a much better manager now then I was then." As regards the possibility of a foreign coach Gregory said he believes that talk is stupid as there are plenty of good English coaches and like many involved within the game he thinks the right man for the job is El Tel. Use our website to hear first what players are hoping to proudly wear the colours of Aston Villa in the future. Villa Park is the home of AVFC, regarded as one of the best football grounds in the UK, every week villa fans cheer on our side up the Villa. We are not a fixture site, but will try and add some fixture information as the season goes on. What do you want from Aston Villa Rumours? We require support from our visitors to keep this site updated and free, with a large audience in the Birmingham area we can help your business reach Aston Villa fans at an affordable rate.